The International Association for Women of Color Day (est. 1999) continues the promotion of March 1st -- "Women of Color Day", begun in 1985 by the National Institute for Women of Color (now inactive). IAWOCD's CEO, a member of the founding board, has worked with many individuals and organizations to expand Women of Color Day to an international focus which continues to honor women of color and recognizes supporters/others working for justice, equality, reparations and a sustainable world ending the racism plus sexism which only women of color/indigenous women have endured. 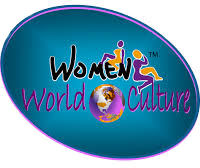 The International Association for Women of Color Day is dedicated to recognizing the achievements and contributions of women of color--those subjected to both racism and sexism and to individuals and organizations supporting women of color, opposing all discrimination, advocating civil and human rights, and serving as a source of education on relevant issues. IAWOCD works alone and in collaboration with others, bringing attention and emphasis to aspects of social issues in which the circumstances of women of color are marginalized and ignored. Documenting injustices and inequalities that have been ignored, trivialized and denied for decades. Victimization by retaliation of complainants from those on whom they should be able to rely for protection and justice. Demonstrating harms: career destruction, financial ruin and continued protection of those who harass and discriminated. The International Association for Women of Color Day calls on those who have had such experiences, who know someone who has, or who want to end all injustices, to help this effort.